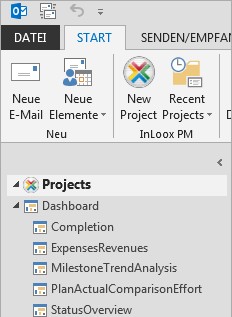 The InLoox PM dashboard provides you with the standard views about all relevant and project-related information to analyze, control and compare your projects. You have always all key data, developments and target values at a glance - up-to-date and clearly designed. How to load a default dashboard in InLoox PM 8 • Copyright 1999-2019 © InLoox, Inc. All rights reserved.